Old Faturan Komboloi with 21 beads 11x13mm. Excellent quality! 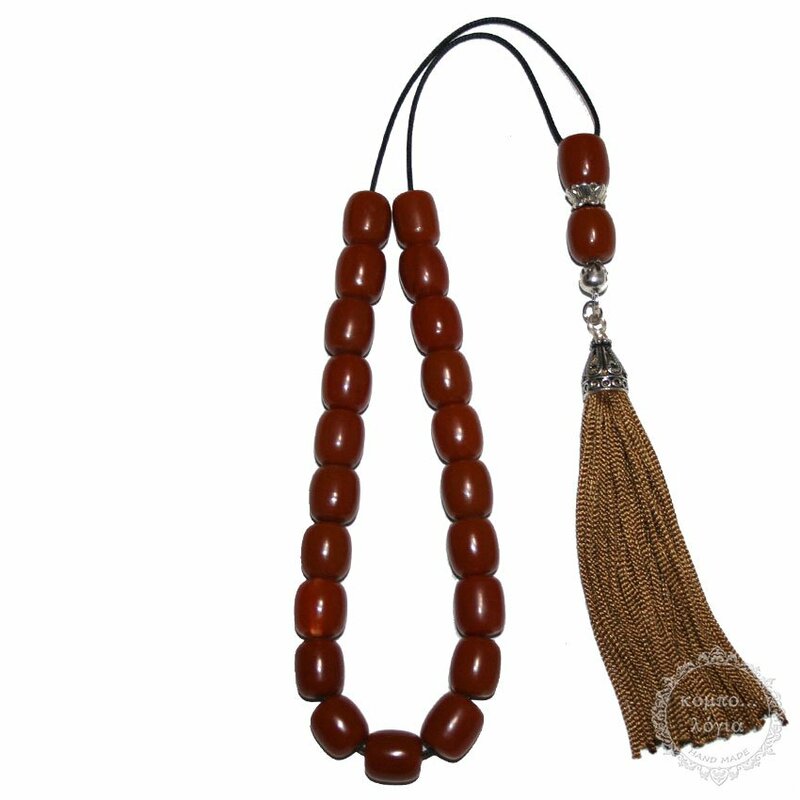 A unique collectible Old Faturan handmade komboloi created with 21+2 old Faturan beads in barrel shape of 11x13mm diameter with original Tibetan silver metals, 37cm total length, 27cm + 10cm natural silk tassel and 35g total weight. Excellent quality, very old Antique Faturan beads with warm touch and sound. Komboloi in unique traditional design with strong cord for everyday use.